A loved one’s simcha. Volunteering at the JCS Kosher Food Bank. Standing atop Masada at sunrise. Shabbat services at the end of a long week. Though it’s not always easy to articulate, we all know that feeling. Simply put, it’s what being Jewish feels like. And another part of being Jewish is feeling compassion for those in need and understanding our responsibility to provide assistance to them. As the economic turmoil of recent years has turned many families’ lives upside down, leaving people unemployed, without savings and even without homes, the Greater Miami Jewish Federation has been here to help. Every year, the Annual Federation/UJA Campaign funds programs that provide much-needed support in Miami, in Israel and overseas. This year will be no different, as one in every eight people in Miami’s Jewish community continues to receive some form of financial assistance from Federation and our local Partner Agencies. 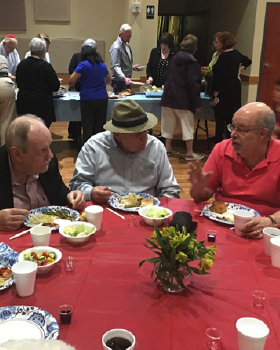 • Through Jewish Community Services of South Florida (JCS), 274,896 kosher meals were delivered to homebound seniors or served at one of four congregate meal sites throughout Miami-Dade County. 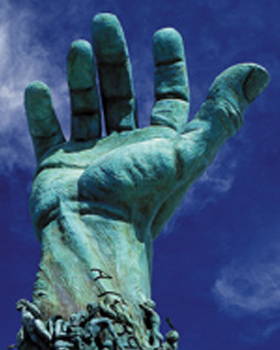 • 410 Holocaust survivors in Miami-Dade County received personalized and comprehensive case management services through JCS to assist with coordinating care, obtaining benefits and ensuring they were able to safely live independently. • More than half of the 4,532 students enrolled in Jewish Day School received scholarship aid from the Greater Miami Jewish Federation. For those students whose families still needed more help, Federation provided $275,000 in additional hardship scholarship assistance to enable 321 students to remain in Day School. 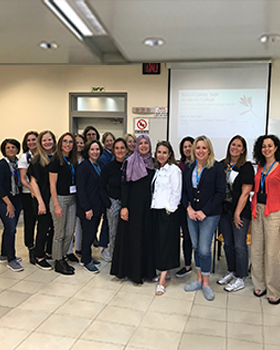 • A Federation-funded emergency hotline for battered and sexually abused women in southern Israel received more than 9,000 calls and provided support and counseling services to those families in crisis. 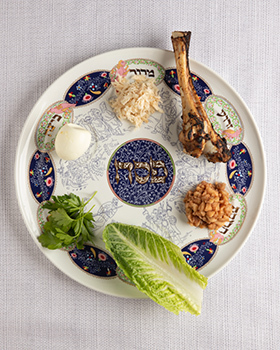 Whether it’s job counseling or Jewish Day School scholarships, hot kosher meals or helping new immigrants in Israel, your one gift to the Annual Federation/UJA Campaign supports programs and agencies at home and around the world — all striving to bring help to those who need it most. Download the “2011 Case for Giving” brochure. Your help, your donation and your time make a difference in our community. Please consider lending your support to the Annual Federation/UJA Campaign at whatever level you can, and please urge those close to you to get involved, too. Together, we build community and care for those in need. Make a gift to the Greater Miami Jewish Federation/UJA Campaign securely online. To donate by phone, please call 305.576.4000. To learn about upcoming volunteer opportunities, email Volunteer@JewishMiami.org or call 786.866.8414.